Delay is not denial, just have faith in GOD and don't quench the fire of your prayers, GOD knows an appropriate time for everything. 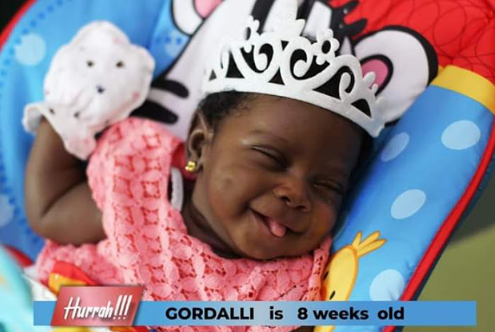 22 years after they got married, a Nigerian pastor and his wife have welcomed their first baby after several years praying for the fruit of the womb. 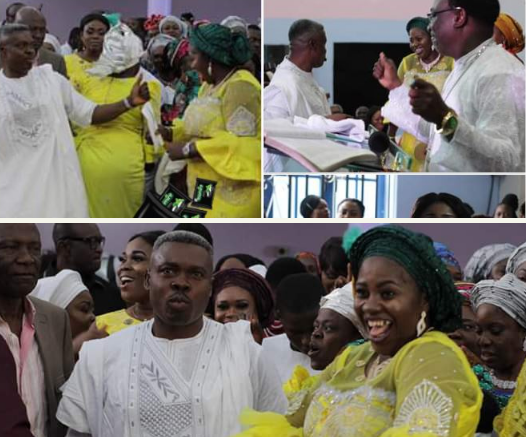 The couple identified as Reverend and Mrs Nnaghe Itam of Foundation Faith Church (Salem Church) in Calabar, are celebrating the arrival of their baby. The cute baby girl named Gordalli-Evergreen Nnaghe Itam was dedicated in church on Sunday, Febuary 24, amid joyous cries and praise.